The early 3D graphics capabilities of home computers and consoles in the 1990’s seemed to inspire an influx of Rally games. 1994’s fondly remembered Sega Rally Championship was one of the first of such games to really utilise the new technology to simulate bumpy and uneven road surfaces. In 1996, Europress treated PC gamers to an excellent rally title with Network Q RAC Rally Championship. Although a number of PC games were slowly moving to Windows back in 1996, many still ran better in MS-DOS. Network Q RAC Rally Championship is our first title on Play-Old-PC-Games.com to use DOSBox. DOSBox is special software that brings back MS-DOS compatibility to modern PCs, opening up even more classic titles for you to play on your new PC. To install the game, place the Network Q RAC Rally Championship CD-ROM in your computers optical drive. Start DOSBox with the CD-ROM mounted as per our guide. We will assume you have mounted the CD-ROM as drive letter D for this example. At this point the games installer should start in DOSBox. Follow all the on-screen prompts to install the game. Use the arrow keys and enter to select menu options. When asked which kind of installation you require, be sure to choose “Full”. When asked where to install the game, the default path “C:\RallyC” should be fine. When the installation process is complete, the installer will automatically launch a sound configuration tool. This tool may simply freeze DOSBox. If it does, don’t worry, simply close DOSBox and start it again. 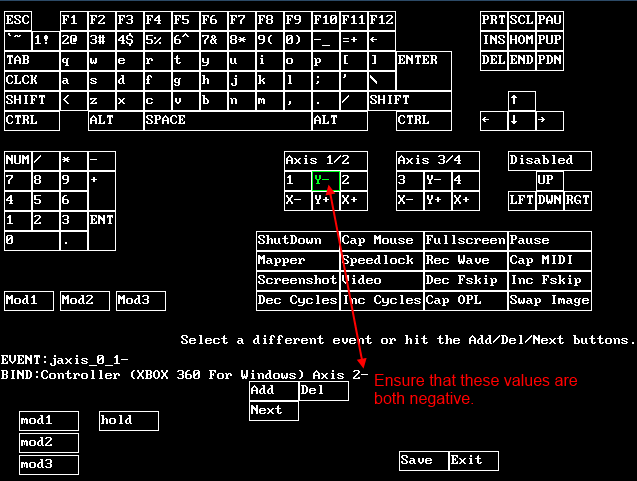 With DOSBox restarted and your drives mounted again, enter the following commands to configure sound options. The sound configuration utility should now start successfully. Using the mouse, first choose “Select and configure MIDI music driver”. A sub menu will now open, on this menu choose “Creative Labs Sound Blaster(TM) 16”. Another menu will now open, on this menu choose “Attempt to configure sound driver automatically”. Automatic configuration should work perfectly in DOSBox. When auto configuration is done click on “OK”. You will now be back at the initial menu. Now, click on “Select and configure digital audio driver”. When you click on this, you will be taken to another menu but this time the only option should be the Sound Blaster card. Click on this and then click on “Attempt to configure sound driver automatically” again. When auto configuration is done click on “OK”. You will now be back at the initial menu again. Click on “Done” and you will exit back to the DOS prompt. You have now done everything you need to do to configure sound. You can now start the game simply by typing “rally” into the DOS prompt. 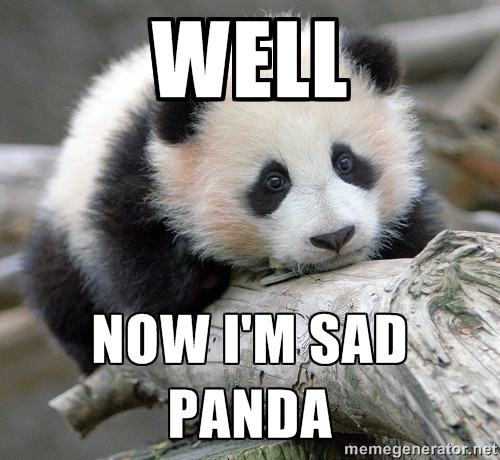 However, you may wish to configure game controllers first. Configuring controllers in DOSBox can be a little confusing. Refer to our DOSBox beginners tutorial – Part 2 on Youtube if you need some extra assistance. If you are configuring a gamepad such as an XBox 360 controller, you will want to change the default mappings so that up and down are mapped to the analogue triggers on your pad. This will allow you to use the triggers for acceleration and braking. Start DOSBox and press Control and F1 to bring up the controller mapping window. Select the Y- axis under Axis 1/2 and click on “Del”. Do the same for the Y+ axis under Axis 1/2. Now, select the Y- axis under Axis 1/2, click on “Add” and squeeze the right hand side analogue trigger. Then, choose the Y+ axis under Axis 1/2, click on “Add” and squeeze the left hand side analogue trigger. Make sure that the negative and positive axis match, see the picture below for an example. Click on “Save” when you are done and you will be returned to the DOS prompt. With these axis configured, you still need to calibrate the controller within the game itself. Start the game and use the arrow keys and enter to select the “Game Options” menu. From the sub-menu that now appears, select “Control Options”. The picture below shows the options that are now displayed. The first thing to do is select a controller type. If you are using a gamepad, select the picture of the joystick on the top menu option. If you choose thumbs up to Automatic Gears, the game will change gears for you as you play. Note however you still have to manually shift out of neutral when you start a new course. With the default setting on a 360 joypad, B changes down a gear and A changes up. If you prefer this the other way around, you can reverse it on the “Joystick Buttons” option. 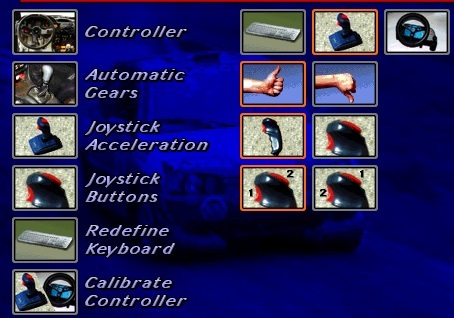 On the Joystick Acceleration option, you can choose between using a button or the joystick to accelerate. If you setup your Xbox 360 controller to use the analogue triggers for acceleration and breaking, make sure this option is set to the picture of the joystick on the left. Finally, you must select the “Calibrate Controller” option. This option will ask you to press each direction on your controller in turn. Again if you are using the 360 controller, remember when the program asks you to press “Up” you should press the right analogue trigger on your gamepad. If you configured everything correctly, you should be taken back to the control options menu. If after calibrating your controller the game simply asks you to do it again and again, hit the Escape key on your keyboard and double check that you assigned the axis on your game controller correctly. With these settings, the game is playable, but we’ve noticed that it seems to think you’re applying the brake even when the triggers aren’t pressed. Despite our best efforts we weren’t able to get the controller working perfectly in this regard. 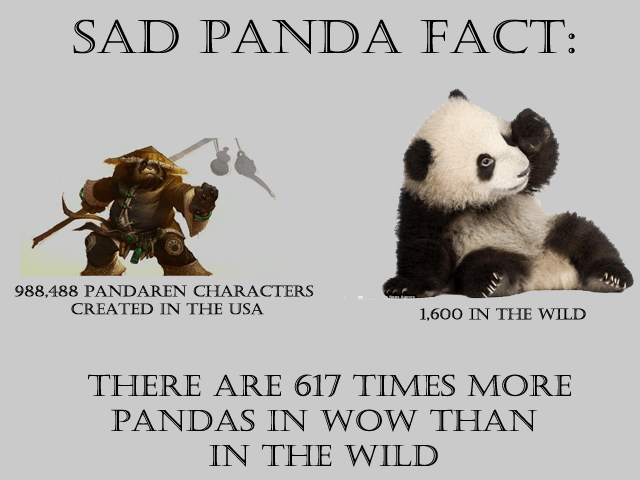 For comfy couch gaming you may wish to set up Xpadder to remap a few of the games keyboard controls. This will allow you to navigate the games menus from the comfort of your gamepad, without having to reach for the keyboard. 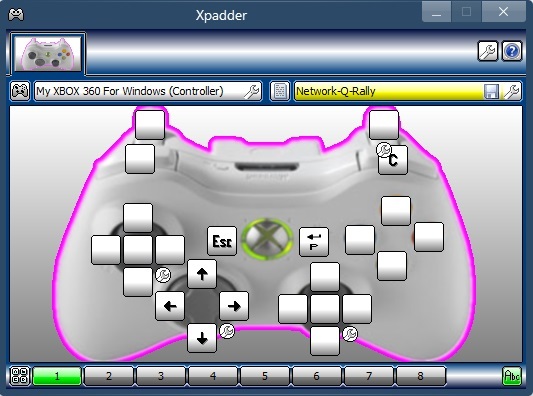 Below is a picture of our Xpadder configuration for the game. The configuration is very straightforward. The arrow keys are mapped to the d-pad to allow for easy navigation of the games menus. The escape key is mapped to the back button, allowing you to go back up from a menu option. Enter and P are doubly mapped to start, allowing you to choose menu options and also pause the game by pressing Start. Finally, by mapping the C key to the right shoulder button, you can change views as you play by tapping this button. Screen Size:- Ensure this is set all the way to the left (the option with the biggest purple box). Image Quality:- Set to the option on the right (the one that looks smoother). Vanish Point:- Ensure this is set all the way to the left to make the draw distance as long as possible. Visual Effects:- Choose thumbs up to this, of course. Press Escape when you are done setting these options. You are now ready to play this classic rally title on your modern PC. Go burn some rubber! Network Q RAC Rally Championship supports multiplayer over a local network via the now obsolete IPX protocol. DOSBox emulates this protocol enabling gamers to host and join multiplayer sessions. We did not test the multiplayer part of this game, but if you are interested you can configure the required settings to facilitate network games by following this guide.